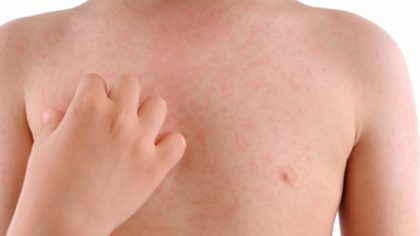 Despite standard use for the itching associated with urticaria (commonly known as hives), prednisone (a steroid) offered no additional relief to emergency patients suffering from hives than a placebo did, according to a randomized, placebo-controlled, double-blind, parallel-group study published online yesterday in Annals of Emergency Medicine (“Levocetirizine and Prednisone Are Not Superior to Levocetirizine Alone for the Treatment of Acute Urticaria: A Randomized Double-Blind Clinical Trial”). At 2-day follow-up, 62 percent of patients treated with levocetirizine (an antihistamine) and prednisone had an “itch score” of 0, while 76 percent of those in the placebo group (levocetirizine and placebo) had an itch score of 0. Thirty percent of patients in the prednisone group and 24 percent in the placebo group reported relapses.